WITH 10+ YEARS OF EXPERIENCE IN YOUTH ENGAGEMENT. The Commitment initiative is organized by six youth-led NGOs. Student Energy started with a spark. In 2008, three driven students, passionate about energy, found themselves with no space to talk to key influencers who were determining their energy future. It took just one ambitious idea: an international conference, with hundreds of youth passionate about energy, the world’s energy leaders, and three days of innovation and dialogue, for that spark to turn into something much bigger. Since the first International Student Energy Summit in 2009, Student Energy has expanded its programming to offer a groundbreaking digital Energy Literacy Platform, empowered thousands of youth through University-level Student Energy Chapters and reached over 1.5 million individuals worldwide. Since 2009, Student Energy has become a movement of 50,000 of the next generation of energy leaders who will accelerate the world’s transition to a sustainable energy future. 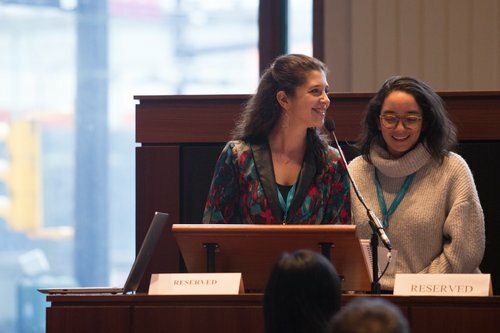 The Youth Climate Lab is a youth-for-youth non-profit, founded in 2017, dedicated to supporting and creating youth-driven, innovative projects for climate action. We are an organization that works with governments, businesses, civil society and international organizations to identify, design and pilot new ideas for effective climate action. Our mission is to break down barriers for youth to access climate finance and policy. We work to build and activate our networks to deliver a range of programs that have demonstrated potential to stimulate intergenerational climate innovation. The Youth Climate Lab is dedicated to creating projects that amplify climate action through inter-generational collaboration. We serve as a connector, facilitator, and designer. We strive to create an environment where youth are activated and mobilized to channel their innovation and creativity into climate policy and climate entrepreneurship. As rising temperatures continue to change human and natural systems, displacement will affect increasing numbers of people around the world. The Climate Change Migrants and Refugees Project aims to spread the word about this challenge, its potential impacts, and to seek out solutions and connections that will help the people most threatened by climate change live safe, dignified, and prosperous lives. By recognizing that urban areas play host to many people displaced by climate change, we aim to mobilize cities and urban change-makers to explore how we can integrate the emerging environmental, social, and economic challenges into future urban resilience planning. At CityHive, we provide opportunities for civic-minded, city-shaping youth to get involved in their cities. We also provide youth engagement consulting and implementation services for organizations and institutions. Our cities face major challenges from unaffordability and homelessness to climate change. There are huge opportunities to use the energy, knowledge, and unique ideas of youth as urban solution-innovators. Together, we can help transform our cities into happier, prosperous, and sustainable places to live for all. We believe in harnessing the innovative energy, ideas, and desire for impact of young people to create a more sustainable, inclusive and liveable city. Not only are we creating a city that’s democratically resilient in the future – a city where citizens are invested in shaping and making it more awesome – but we are also creating a better city now. With the ideas and energy of youth, we can chip away at challenges like affordability, renewable energy, zero waste, inclusion, and civic engagement. Climate Guides is a mentorship program that envisions youth as climate leaders. Since launching in early 2018, our young non-profit organization has set out to support youth climate action. Our goal is to equip our current and next generation with professional development, mentorship, financial support, and climate-conscious community. We aim to build a narrative of hope and opportunity in tackling climate change by shifting from the current narrative of doom-and-gloom. A complex problem requires diverse, collaborative and intergenerational solutions. By connecting youth with professionals engaged in climate change, Climate Guides fosters partnerships that generate optimistic solutions. 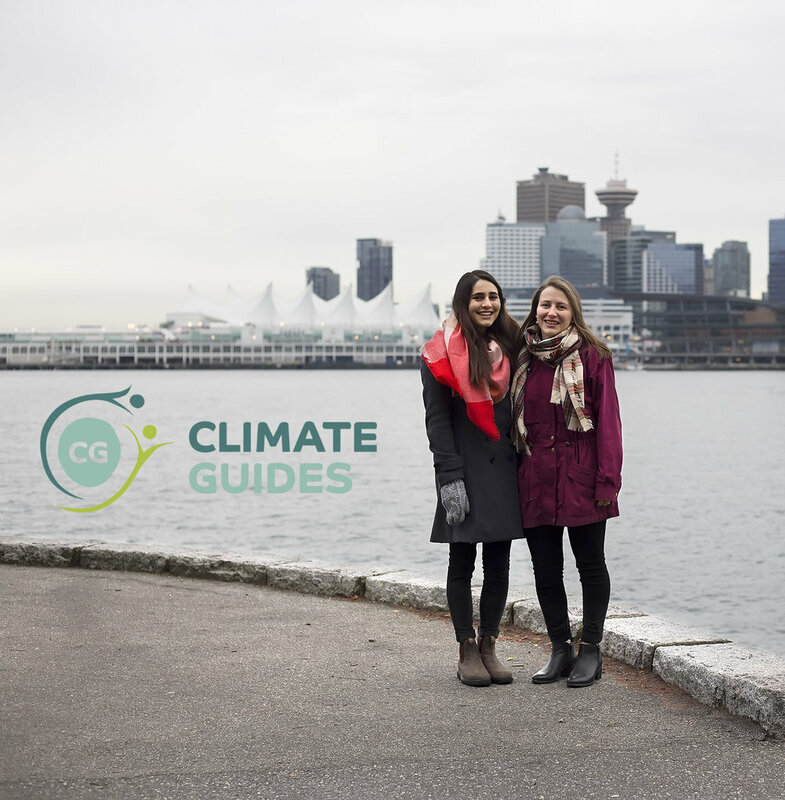 From the first pilot program in Spring 2018 in Vancouver, BC, we have high hopes for the future of climate work with Climate Guides! The Ottawa Hub is comprised of exceptional young professionals who are emerging and accomplished leaders in the public, private, social and cultural sectors. The Ottawa Hub, the proud co-host of SHAPE North America 2017, is engaged in projects that empower young people in Ottawa to be agents of change, promote peaceful pluralism and foster respect for the dignity of others, and harness the talents of millennials to enrich the Ottawa community. Recent projects and partnerships include Ottawa Peace Talks, Global Dignity Day, the MyCanada150 photo exhibit, and a Tri-Sector Leadership workshop as part of the One Young World summit in Ottawa.